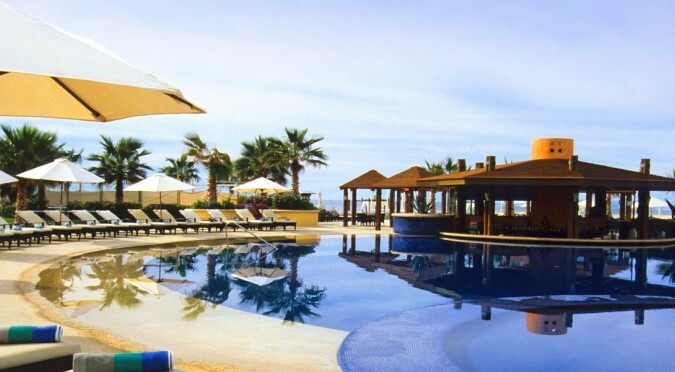 CABO SAN LUCAS, Mexico (July 27, 2016) – Pueblo Bonito Pacifica Golf & Spa Resort – the award-winning luxury resort catering exclusively to adults – will unveil a brand-new, ultra-luxe expansion in winter 2016 featuring upscale guest rooms and suites, new gourmet restaurant concept, VIP lounge, and state-of-the-art fitness center, all with breathtaking oceanfront views. The interior design of the multi-structure, oceanfront building was led by Mexico City-based Olivia Aldrete, a 30-year design veteran who designed the existing Pueblo Bonito Pacifica resort. Drawing inspiration from Cabo San Lucas’ juxtaposed landscape of beautiful long beaches and desert foliage, the 47 club level guest rooms and suites of The Towers at Pacifica mirror the existing resort’s elegant and minimalist décor with warm organic elements that combine modernity and high-design with the familiar comfort of feeling at home. Thoughtfully curated design touches are found throughout the guest rooms and capture the rich artistic culture of Mexico, including framed handmade rebozos (indigenous shawls) from San Luis Potosí, striking photography, fine woodwork, and colorful embroidery, all of which were crafted by Mexican artisans and commissioned exclusively for The Towers at Pacifica. Soothing and earthy accents in each room reflect the natural geography surrounding the resort, such as hand-carved wooden headboards with recessed panels that resemble the patterned sands of the resort’s serene beaches after being touched by the rolling waves. In the suites, a spacious separate living room with a full dining area serves as the anchor of the space, with contemporary décor to light up the room, such as an Edison-bulb chandelier, asymmetrical mirrored and wooden coffee tables, custom mid-century modern furniture, patterned armoires, decorative cushions from Sierra de Nayarit, black clay accents from Oaxaca, and one-of-a-kind Mexican paintings. A color scheme of creams and browns is reminiscent of the desert and mountainous terrain, while hues of orange and yellow bring the famous Cabo sunset indoors. Each decorative piece is unique and hand-selected by Aldrete, who uses art as her muse for interior design along with the scenic backdrop of Cabo San Lucas.